Photo taken by Benj Brooking. 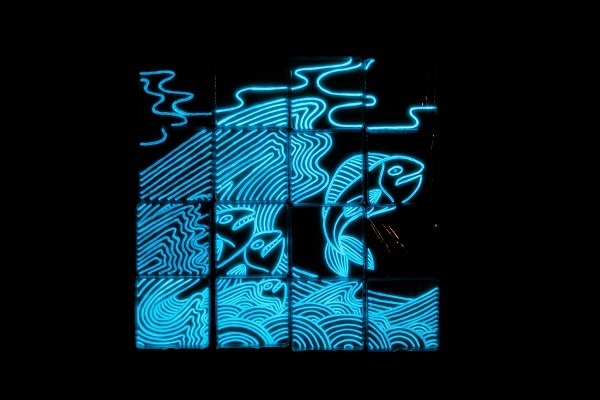 On Saturday the 14th March I organised Biolumination II as part of thinkScience day at the 2015 Auckland Arts Festival. I challenged a group of artists and illustrators to each come up with a work of art using just a solution of harmless bioluminescent bacteria and a collection of 25 x 25 cm square petri-dishes. I want to introduce you to each of the artists and show off their amazing pieces. Laura is a research associate at the New Zealand Institute for Plant and Food Research. 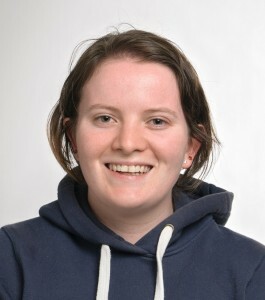 Her current work involves using genetic barcoding techniques to monitor the ecology of insects in fruit orchards and other productive landscapes. Laura is also an avid self-taught face painter and body artist on the weekends.